The 3-door counter-depth refrigerator features extra-cold storage and humidity controlled drawers to keep food fresh. The full-depth Gas slide-in range fits into any freestanding range cutout, and features five burners to cook more dishes at once. The precisely designed OTR microwave is a perfect match to the sleek design of the Bosch kitchen. Minus manufacturer rebate and NECO dealer rebates: $5,116. 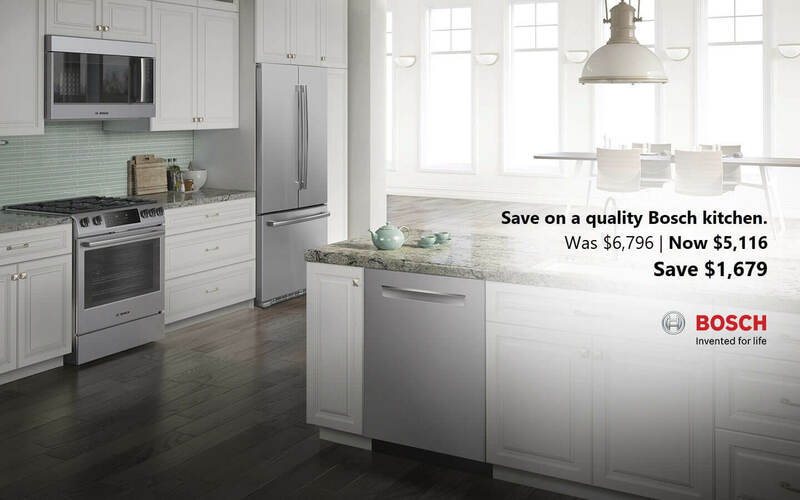 Savings of $1,679 total in discounts!